Birmingham Stage Hire has been operating since 1989, supplying small and medium-sized stages across the nation. From a small school-fete to a large local festival, our expertise and extensive stock are at your disposal. 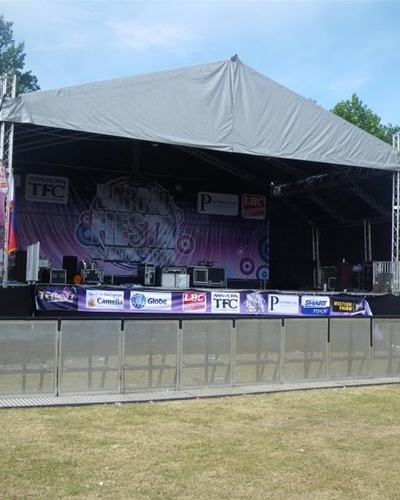 Our packages include marquees, catwalks & risers, designed for both indoor and outdoor use. All our stages are delivered, constructed and deconstructed by us, this service is included in the price. Allow us to help you choose the package that suits your event best, or construct a new package especially for you - call us on 0121 359 3071, our phone lines are open 10am-10pm every day.